Scotlandwell (Holy Well) in Central Scotland. OS Grid Reference: NO 1847 0161. At the western side of Scotlandwell village in the Portmoak District of Perth & Kinross, Central Scotland, there is an ancient holy well and also a 19th century wash-house. The village is 4 miles west of Glenrothes and 4 miles east of Kinross (across Loch Leven). In the late 1st century AD the Romans came by the well and named it ‘Fons Scotiae’ and in the late 13th century the local friars were using the water in their hospice and, in the early 14th century the well was visited by Robert the Bruce, King of Scotland, who took the waters here in the hope of a cure. 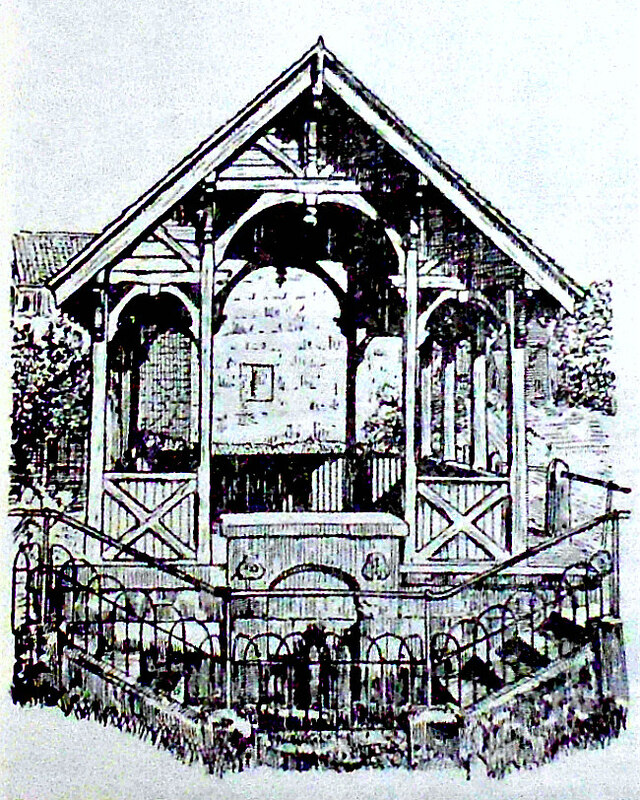 Later the well was visited by Mary, Queen of Scots (1542-87). The well became a place of pilgrimage in the Middle Ages and continued as such for several centuries thereafter. To reach the site (signposted) head west from Kinross on the A911 (Leslie Road) and go through Scotlandwell village. Where the A911 ends cross over Main Street and walk along the short lane (Little Arnot); the well is on the left at the far end. Scotlandwell by Euan Nelson (Geograph). The ancient curative spring known as Scotlandwell or ‘Fons Scotiae’ (Well of Scotland) at the foot of Bishop Hill (Portmoak Moss) bubbles up from deep underground through the sandy earth and into the stone-built well with its Victorian (Gothick) well-house structure, most of which is a clever reconstruction of 1858, although some of the lumps of stonework at the front of the well predate this and are probably from the earlier Medieval structure. Its healing waters were ‘said’ to be a cure for leprosy and other diseases. The green-painted wood and stone structure at the back with its canopy roof also dates from the mid 19th century. 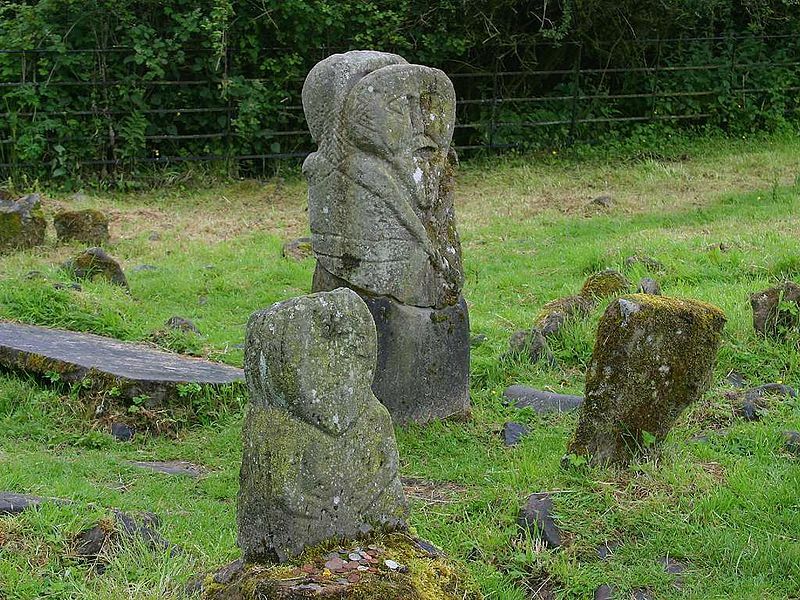 This whole site is now in a fairly well-preserved state thanks to a local community project. A plaque with the date 1858 is carved onto the stone well-head along with the architect’s name and also the benefactors’ names in capital letters. The nearby Wash House, built in 1860, which local people called ‘The Steamie’ and where laundry was washed, was presumably connected to the well’s underground water source, but sadly it has not been in use since the 1960’s. In 1250 the Trinitarian Friars (Red Friars) moved into the area and established a hospital or hospice. They used the curative waters from the holy well for patients in their new hospital of St Mary. Nothing much remains of that building on Friar Place today, however, as it was demolished after 1587. The Trinitarian order of friars was founded near Paris in the late 12th century by St John of Matha (d 1213). 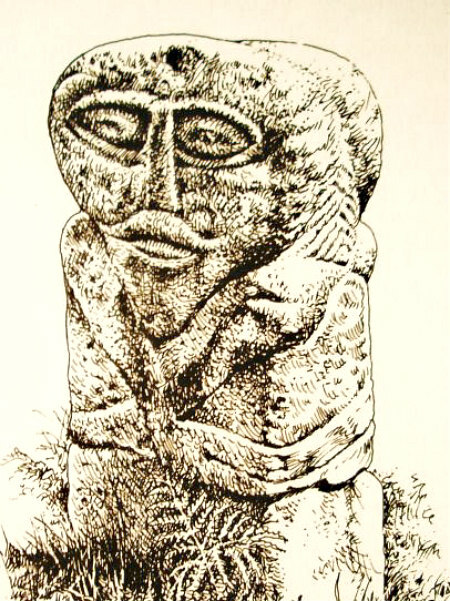 Bill Anderton (1991) tells us that: “It is said to be at this holy well that Robert Bruce was cured of leprosy, and records show that Charles II travelled from his Dunfermline Palace to take the waters, while Mary Queen of Scots too visited the well. An inscription above the water fount gives the date 1858, but this refers to the reconstruction. The well, like all Scottish holy places, is very ancient. The waters from the fount can be drunk from a special metal cup which hangs nearby.” Mr Anderton says this site has a ‘power point’. Anderton, Bill, Ancient Britain, W. Foulsham & Co. Ltd., Slough, Berkshire, 1991. Bottomley, Frank, The Abbey Explorer’s Guide, Kaye & Ward, London, 1981. 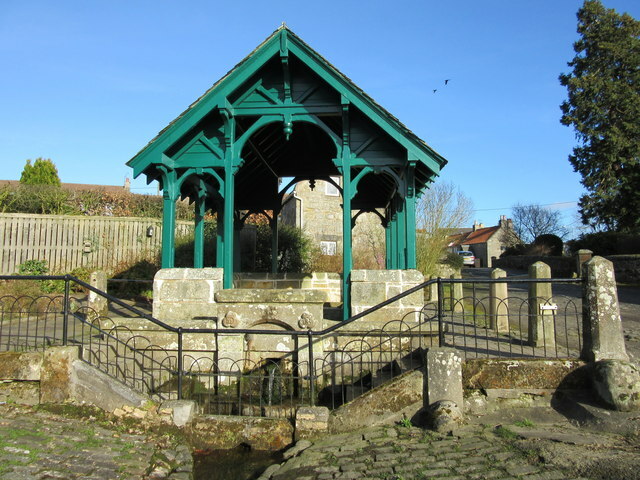 Categories: Holy Well | Tags: Scotlandwell (Holy Well) in Perth And Kinross Central Scotland | Permalink.